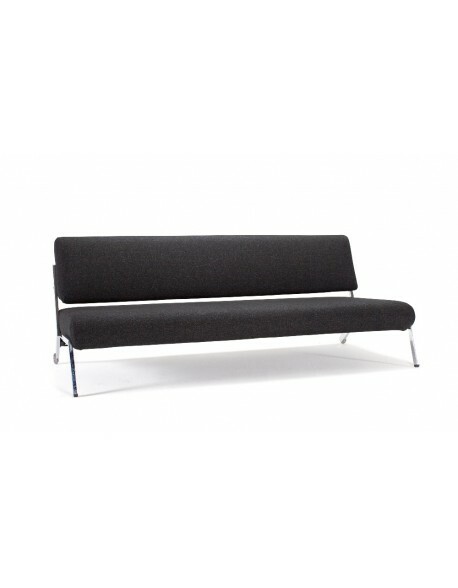 Innovation Living sofa beds, iStyle and One Room Living ranges. 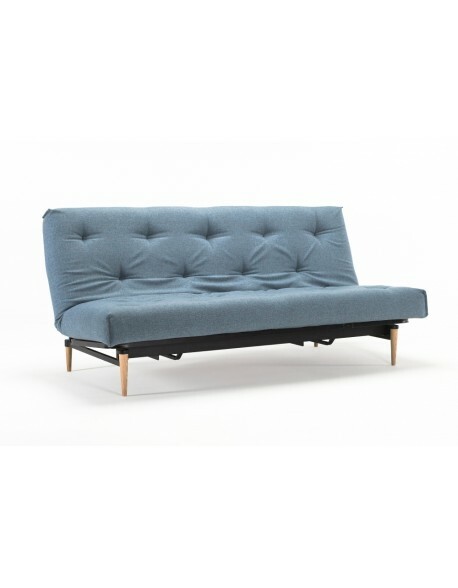 Futons247 are the Innovation Living Sofa Bed specialist for Devon, Cornwall, Somerset, Dorset, Bristol and throughout the UK and London. Innovation are a Denmark based company who started out in the Seventies and now distribute their products throughout the world. 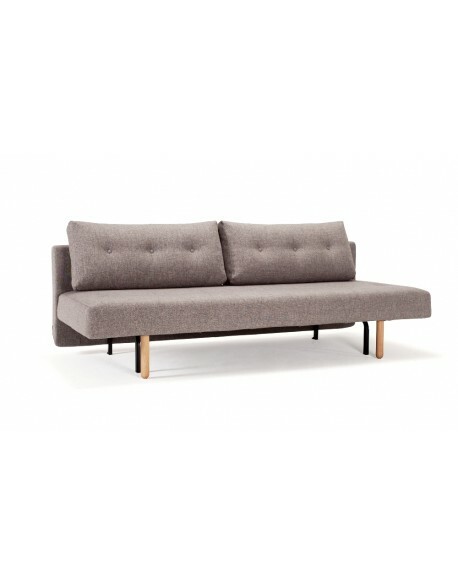 Here at The Futon Shop we love their designs and especially the comfort, finish and attention to detail making their products true everyday use sofa beds. Innovation models are delivered in a straightforward self assembly format, however if you have any questions or wish to have a chat about delivery and assembly options please feel free to call us on 01752 662030. Innovation Sofa Beds There are 21 products. 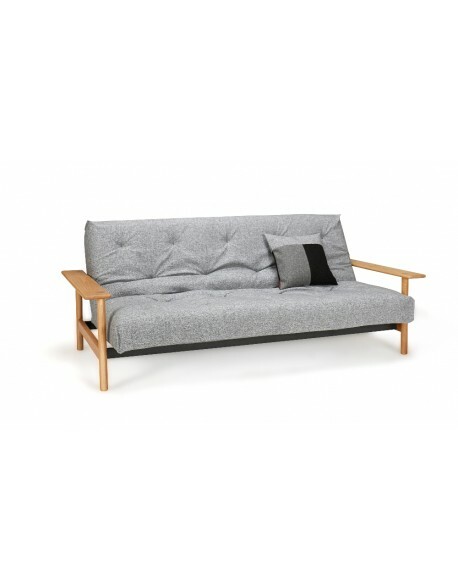 The popular Colpus sofa bed from Danish furniture design company Innovation Living is available as an everyday use sofa bed featuring their Soft Sprung pocket mattress in a choice of fabric colours. 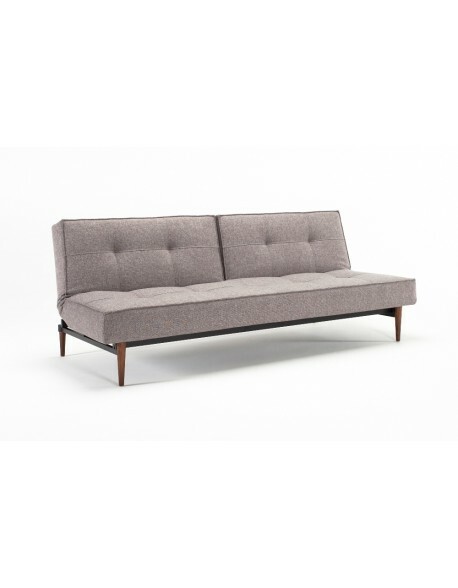 A stylish new take on Innovations classic Splitback sofa bed, the Buri features softer rounded edges and a fuller apprearance. Excellent quality and a choice of fabrics with UK delivery. Available at a promotional price in Mixed Dance Grey fabric. 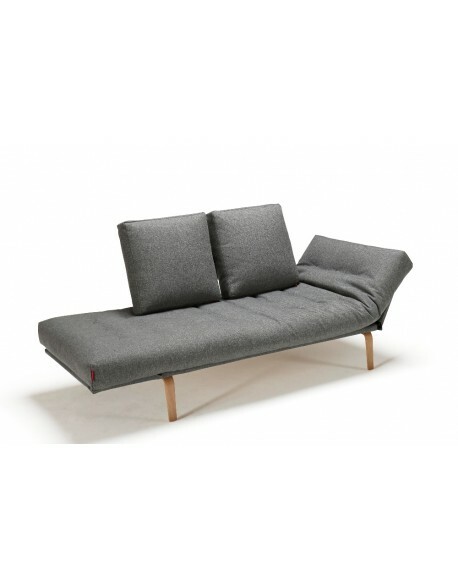 Compact and stylish day bed offering everyday comfort, perfect all living spaces and home offices, choice of fabrics and leg styles, for full details read on below. Contemporary style and compact dimensions make the Cubed top of the list when space is at a premium but comfort and ease of use are essential. 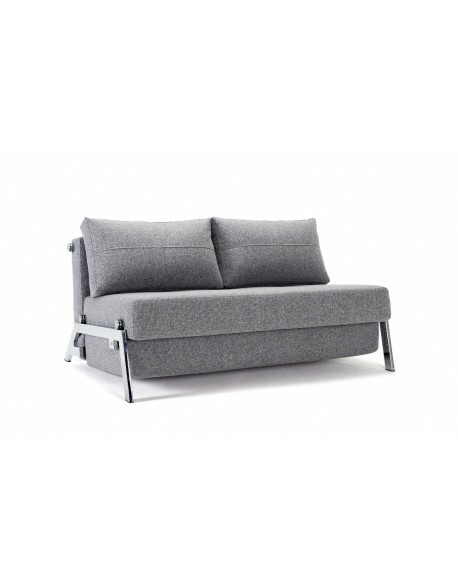 The Danish designed Cubed is available featuring the classic style chrome legs and in a range of fabrics with UK wide delivery, for full details see below. Featuring Innovations latest Soft Spring comfort mattress system with a 10 cm pocket spring cage at the heart of a robust 18 cm thick mattress, combined with lovely oak arms, for full details please see below. 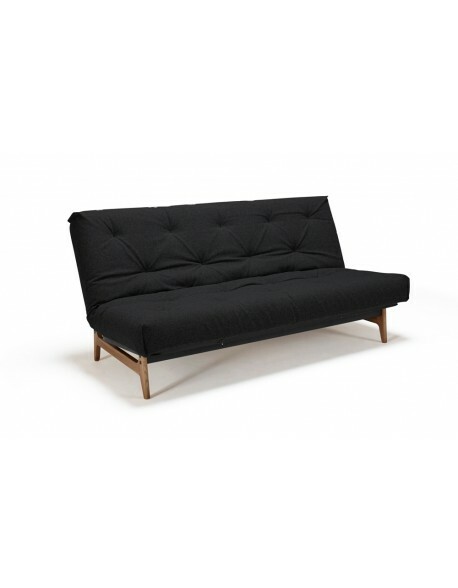 The funky little Rollo daybed as it should be! Frame covers, sprung mattress and square cushions, all dressed up and ready to find its place in your home. For full details see below. Classic style and pocket sprung comfort with a choice of leg styles and fabrics. Designed in Denmark by Innovation Living the Splitback is available with UK delivery, for full details see below. 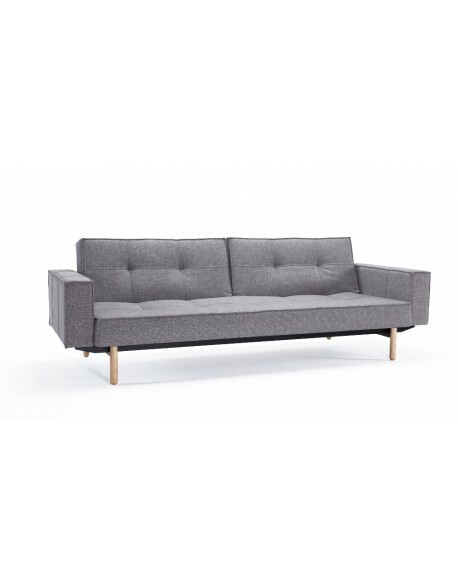 The 'mini' version of the Aslak sofa bed from Innovation Living; compact dimensions, pocket sprung comfort, easy everyday use and available in a choice of fabrics with UK wide delivery. 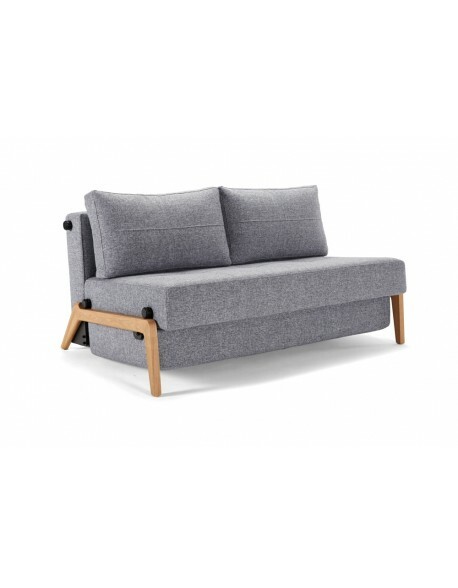 Opening into a compact double bed (120cm wide) with pocket sprung mattress, the Fraction from Innovation Living offers an everyday use sofa bed at a great value price. 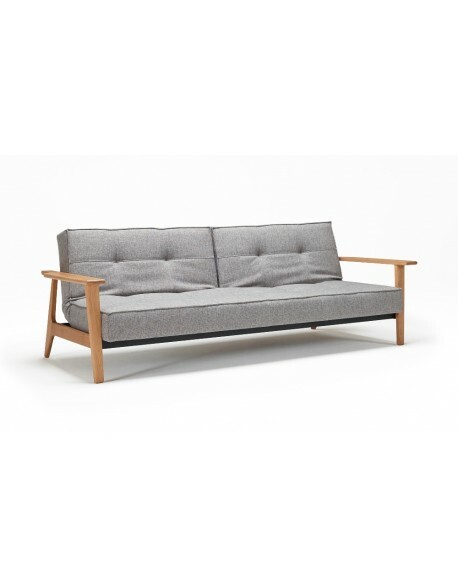 A contemporary twist on Innovations popular Splitback sofa bed, the Frej features light oak arms for a distinctive style and makes a comfortable choice for everyday use. 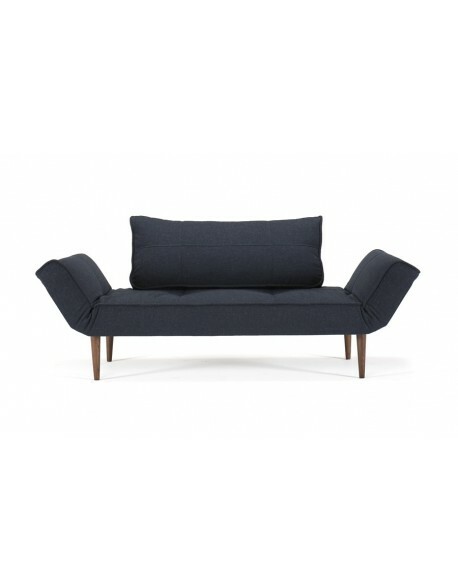 The ever popular Cubed 140 sofa bed from Danish designers Innovation Living takes on a complete contemporary sofa style with the addition of upholstered arm ends. Available in a choice of fabrics with UK wide delivery, for full details see below. 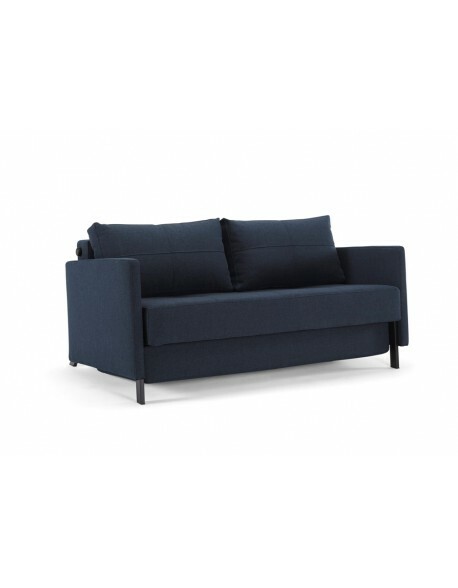 The ultimate sofa bed with deluxe excess pocket sprung comfort and easy conversion to a king size bed. 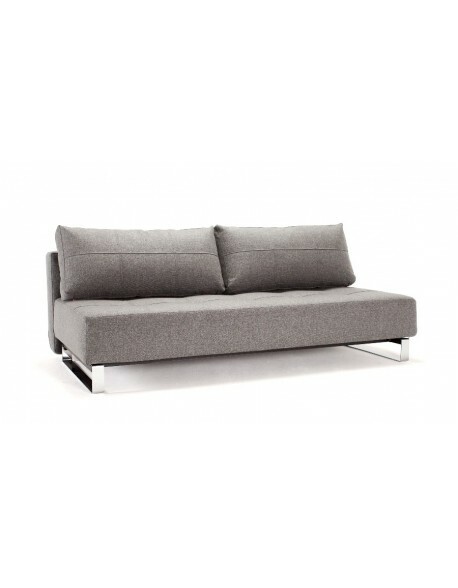 Offering a full size living space sofa with the comfort and style of arm ends and a pocket sprung seat and sleeping area, the Splitback sofa bed with arms makes a great choice as an everyday sofa bed. For full details see below. 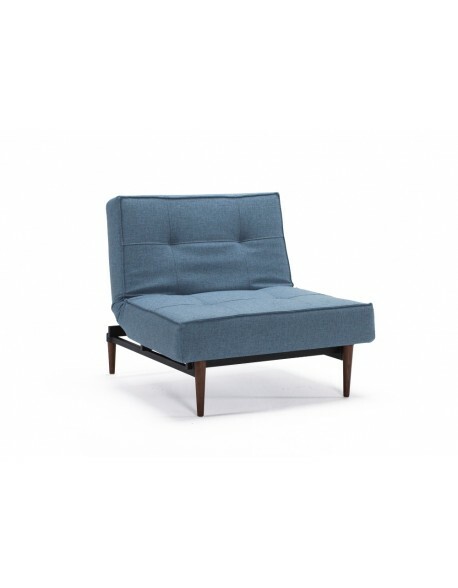 A neat little chair to accompany the Splitback sofa bed, offering pocket sprung comfort, durable build quality and a choice of fabrics and leg options. 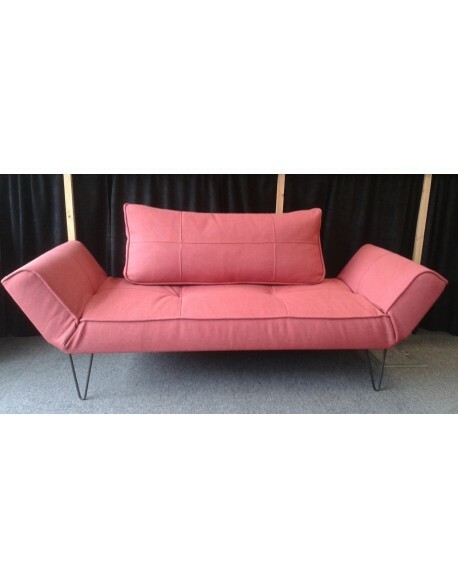 This lovely little Zeal daybed by Innovation Living has been on display in our showroom and is offered at a great value price, we can also offer a choice of leg options...read on below..